Since 2002, Ms. Roupinian has devoted 100% of her practice to the litigation of WARN cases, representing tens of thousands of employees who were terminated without sufficient notice in violation of federal and state WARN laws. The firm’s WARN practice is national and its WARN cases have and continue to cover a wide range of industries, including telecommunications, transportation, retail, mining, mortgage and manufacturing. A majority of the cases Ms. Roupinian litigates are initiated as class actions and are frequently filed in bankruptcy court as adversary proceedings. Ms. Roupinian has been quoted on WARN law rights and her cases have been cited in such publications as the Wall Street Journal, the New York Times, American Lawyer, Associated Press, USA Today, Forbes, Newsday, Times-Gazette, The Herald News, and others. In May 2008, Ms. Roupinian, her colleague Jack A. Raisner and their client, Joe Aguiar, were invited to submit testimony before the U.S. Senate’s Health, Education, Labor and Pensions (HELP) Committee by Senator Kennedy (Chair) about the WARN Act, on the 20th anniversary of its enactment, and its possible reform. Mr. Aguiar testified before the Committee. Ms. Roupinian received her BA in 1989 from the University of Michigan and her JD in 1994 from Michigan State University College of Law where she was a member of the Moot Court Executive Board. She joined Outten & Golden LLP in August 2007 after representing employees in WARN Act cases at another New York firm. Prior to 2002, she was a partner in a Detroit law firm where she litigated ADA, FMLA, ADEA and race and gender discrimination cases on behalf of employees and class actions on behalf of homeowners, consumers and taxpayers. 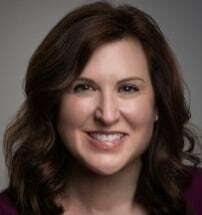 She has argued before the Michigan Court of Appeals and the Michigan Supreme Court.